Steel Joints Drink is a very high quality dietary supplement of 7 NUTRITION, which is an irreplaceable support for the movement apparatus. It contains higher concentrations of the most important ingredients such as MSM, Chondroitin, and Hyaluronic Acid. Calcium is needed to maintain healthy bones and teeth. It helps in the proper functioning of muscles and in maintaining proper nerve transmission. Calcium contributes to normal blood clotting and to maintaining proper energy metabolism. He participates in the process of cell division and specialization. Calcium helps in the proper functioning of digestive enzymes and helps reduce the loss of bone minerals in postmenopausal women. Low bone mineral density is a risk factor for osteoporotic bone fractures. Calcium is needed for proper bone growth and development in children. Magnesium helps in maintaining electrolyte balance and healthy teeth and bones. It helps to maintain normal energy metabolism and helps in the proper functioning of muscles and the nervous system. Magnesium contributes to the reduction of tiredness and fatigue and helps maintain normal psychological functions and proper protein synthesis. Magnesium plays a role in the process of cell division. Vitamin D helps in maintaining healthy bones and teeth and contributes to their proper development. It also helps to maintain the proper level of calcium in the blood and contributes to the correct absorption / use of calcium and phosphorus. Vitamin D takes part in the process of cell division, helps in the proper functioning of the immune system and muscles. 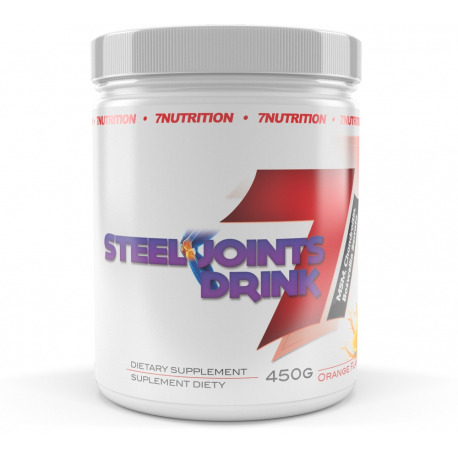 It contributes to the proper functioning of the immune system and helps to reduce the risk of falling associated with postural instability and muscle weakness. Falls are a risk factor for bone fractures in people of both sexes aged 60 and over. Vitamin D is needed for proper bone growth and development in children. Consume 20 g of preparation dissolving in water or other non-carbonated drink. Dietary supplements can not be used as a substitute for a varied diet. Remember that only a healthy lifestyle and balanced nutrition ensure proper functioning of the body and maintain good condition. Do not exceed recommended servings for consumption during the day. The product can not be used by people who are allergic to any of its components. Best before the end: month, year under the barcode. Production batch number: under the bar code. Keep out of the reach of small children. Store in a dry place at room temperature in tightly closed containers. * Reference intake value for an average adult (8 400 kJ / 2000 kcal).